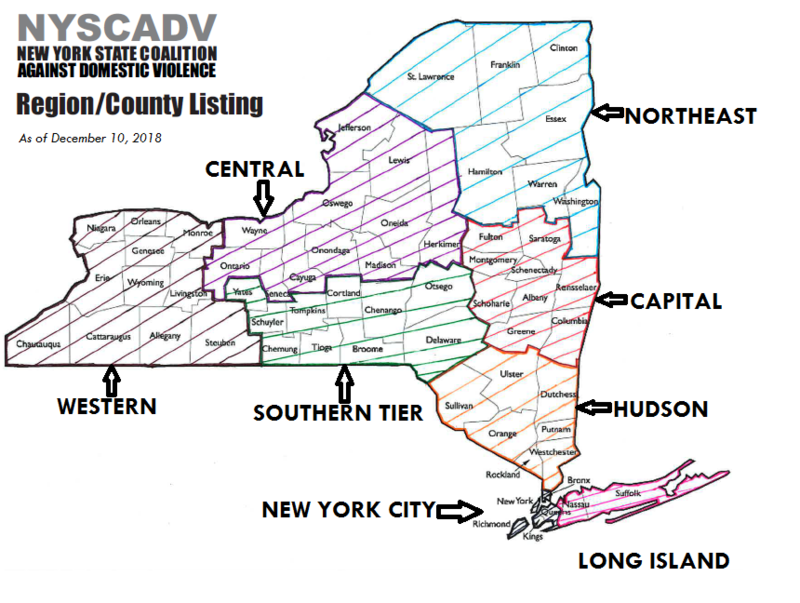 There are 8 NYSCADV regions in New York State: Capital, Central, Hudson, Long Island, New York City, Northeast, Southern, and Western. Each region meets at least quarterly. This format provides regions the opportunity to come together to enhance their knowledge and skill sets, and to discuss issues that are regionally specific.